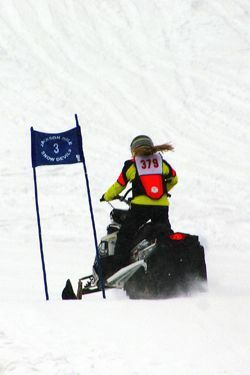 Last weekend, 16 Sublette County residents traveled to compete at the Jackson Hole Hill Climb. Kendall Brunette, 22, competed for her first time after only one practice. She was the only girl in the amateur class, but despite the flying ponytail, the announcers repeatedly identified her as male. Photo by Megan Rawlins, Pinedale Roundup.